Originally published in November 2017, the 53rd Regiment clearly got this endorsement right. Not only was Gillespie the better candidate to unlock Virginia’s promise, he is the better man. Ed has lived a dignified life respecting all Virginians and now we know the other side of Governor Northam. Not only is Northam unfit to finish his term due to his racist past, but his promotion of infanticide has shocked all Virginians. He must go. The 53rd Regiment has called for his resignation. Northam is not fit to lead Virginia or command the Virginia National Guard or Air Guard. He must go. Cleary Virginia would have been better off with Ed Gillespie as governor. 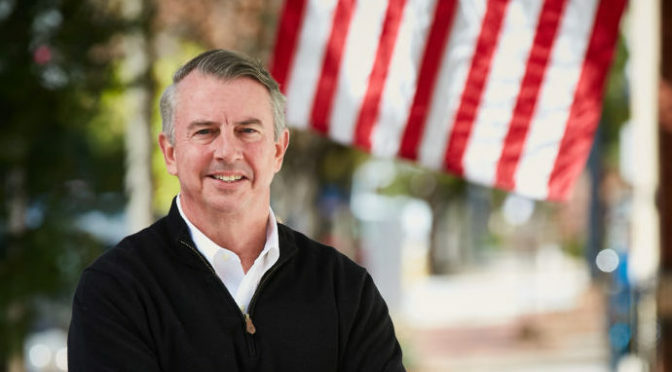 After careful consideration to include an examination of both candidates records, the 53rd Regiment endorses Ed Gillespie for Governor of Virginia. After four years of a stagnant McAuliffe economy where Virginians have endured economic decline and stagnation, it’s time to get Virginia growing again with Gillespie’s economic reforms that include tax cuts for middle class families, regulation reform, education focused on a strong STEM curriculum, improved roads, and being strong on public safety countering the growing gang problem. Gillespie’s vision for Virginia to create jobs, raise take-home pay and help people lift themselves up is right for Virginia. Lt. Governor Ralph Northam lacks vision, has not thought through detailed economic plans and would represent four more years of Terry McAuliffe’s failed economy. Democratic nominee for governor Ralph Northam continues to stand behind the add that The Washington Post’s editorial board called “vile” and “despicable,” inferring that all people who drive pick-up trucks and are conservative minded are racists. Virginia is much better than this hateful message by Northam and his surrogates. Ed Gillespie is right for all Virginians and his 21 plans offer hope and prosperity. It is time for all of Virginia to start winning again! It is time to Make Virginia Great Again! #MVGA!!! It is time for Ed Gillespie. I stand by the 53rd – wish Michigan could vote for Eddie G! Previous Previous post: Northam Must Resign!